I appreciate the nut to chocolate ratio in this recipe! Will have to try it soon! The first time I tried using a high-quality chocolate in a choc-chip cookie was a revelation. 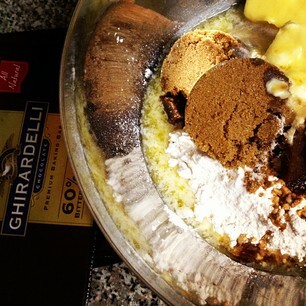 My recipe is a little different, but that extra good chocolate makes an old favorite into a gourmet treat. Sounds exactly like the wrong type of chocolate chip cookie for me. (I like mine soft, nutless, and not salty at all.) 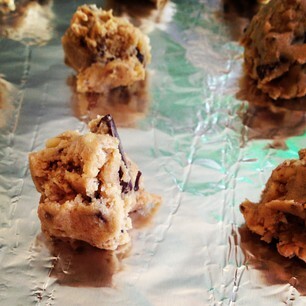 But nice-sized chunks of baker's chocolate instead of chocolate chips is one of my favorite tricks. So gooey. I like crispy CC cookies, but usually mine come out chewy instead. Will have to try your recipe :). 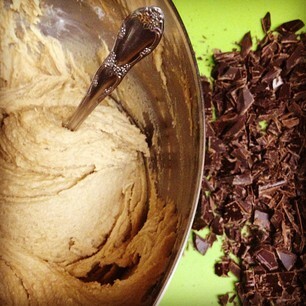 When my children were little, they would help me mix up the dough for chocolate chip cookies. they would help put them on the pan, and watch them in the oven for a minute or two. Then they would lose interest and they wouldn't even eat them. I had to invite a nephew over who enjoyed cookies and he taught them how to eat and enjoy cookies. now that is no longer and issue. Nothing beats a chocolate chip cookie! Sorry - you are naughty tempting us like this.... (just joking). Have a great week. I have perfected the chewy, soft CC cookie over the years. Perhaps it's time to get working on a crispy version. Yours sounds divine. Oh nice!! I love cookies with chocolate in, and so does my family. I'll be bookmarking this for future use. Thanks for the recipe. More cowbell- hehe, love the SNL reference. 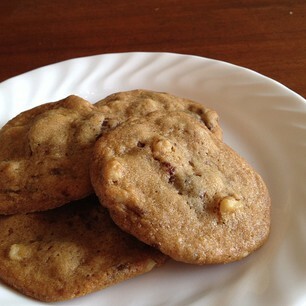 Your cookies look too good, I'm bookmarking this recipe. Oh yum... salty and sweet? AND chocolatey? I'm afraid I will get addicted to this ;) I'll have to make these soon *bookmarks* thanks for sharing your delicious recipes. I wish I were as good a baker as you! Yummo! The pics are gorgeous!